Ensuring continuous and adequate supply of funds to the concern. Managing high returns on investment to the shareholders. ROI is directly proportional to earning capacity, market price of the share and expectations of the shareholders. Utilizing the funds to its optimal potential. After procuring the funds financial manager builds a strategic plan to utilize them at minimum risk and cost respectively. Planning and administrating a robust capital structure. An ideal economic activity has a sound and fair composition of to ensure the balanced ratio between debt and equity capital. Securing the future by ensuring Safe and high return on investment. However, one of the most debated objectives of financial management is Profit Maximization. According to several traditional arguments, the ultimate goal of a business or an individual is profit maximization. Profit maximization is a state where Marginal Cost is equal Marginal Revenue. Now, it is often argued that this objective is way too vague and narrow. But supporting arguments give their counterpart by mentioning the efficiency of an individual and how it is measured on the scale of profit maximization. Where π (Q) is profit, R (Q) is revenue, C (Q) are costs, and Q are the units of output sold. The two marginal rules and the profit maximization condition stated above are applicable both to a perfectly competitive firm and to a monopoly firm. Here will we look into some of the features of profit maximization under objectives of financial management. The primary goal of any economic activity is to earn profit; hence the finance manager aims to explore every possible way to enhance the profit maximization. Profit indicates the stability and development of any economic activity. It determines the efficiency of any business. Profit reduces business risk and increases the potential to meet social needs as well. It is the primary source of finance. 1. Profits are uncertain owing fluctuating difference between revenue generated and incurring costs in the future. In practical life anything is possible. Your calculations based on today’s numbers might change tomorrow and the difference between your expected result and the reality might as well be surprising. 2. Businessmen are not bothered by MC and MR. As a matter of fact it rarely happens that they are familiar with these two terms and their functions. It is because most of the businessmen are not greedy and their primary goal is not earning profit. J. Hawkins says on the matter that believing that every businessmen aims to maximize profit and nothing else is same as believing that students study to maximize their examination marks. 3. Insufficient knowledge is another drawback of profit maximization. The theory is based on several hypothetical assumptions and on the fact that mangers are aware of almost everything. But in reality they don’t possess the precise and entire information about the state under which the particular economic activity is being implemented. Here we will learn about some of the other key elements which are as important as profit maximization under financial management objectives. Wealth creation is one of the main objectives of financial management. You can take the advice of financial consultant for various investment opportunities to create wealth. Finance manager provides you best investment options with highest rate of returns based on past performance. For example: investing in stocks, gold, commodities, forex, mutual funds, etc. You can take the advice to maximize your wealth. 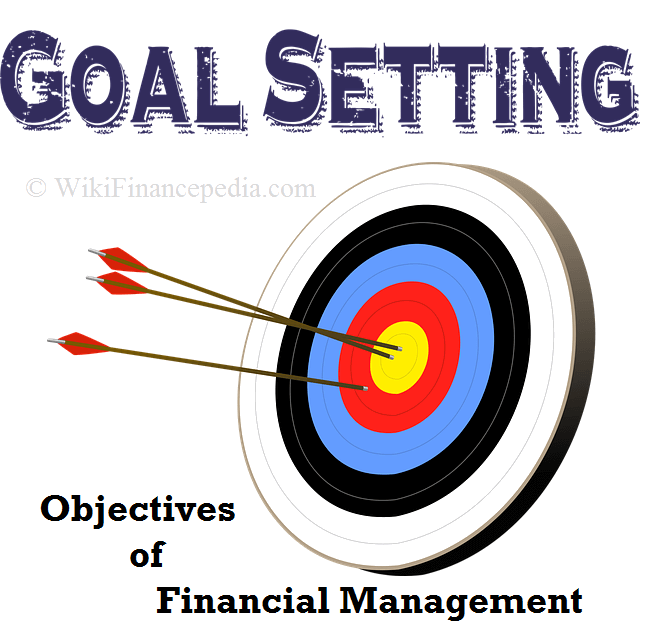 It is one of the important objectives of financial management. Appropriate estimate will help you to take right decision at the right time. For example: company requires working capital, infrastructure, and employees to run or start the business. If estimate is incorrect then it will directly affect the business plans. Shortfall of cash or finance may lead to either shutdown or change in business plans. Failing to estimate will directly or indirectly effect the operations of a company. For any company to survive, financial management is a primary objective. In today’s competitive world, there are various pre-determined expenses whereas there are many expenditures which occurs suddenly. When you are managing company, it become primary objective to look after budget and any direct or indirect expenditures. Failing to manage finance will lead to company sickness and any even lead to shut down. One of the short-term objectives of financial management strategy is to manage cash flow of a company or an individual. There are various types of expense incurred on daily basis. For example: salaries, operational expenses, rent, contractual expenses for a company. Whereas expenses like telephone bills, electricity bills, house maintenance, children education expenses occurs in an individual life. One should know to manage your cash flow and savings for their economic growth. For a company, long-term objectives of financial management is to minimize the cost of expenditure and maximize gains from operations. Initially for any company expenses are more than the income. But gradually once business is stable, company look forward for optimization on cost of capital investment as a part of their financial management strategies. What are the Two Main Types of Finance or Types of Financing?